The meeting is scheduled for 17 July. 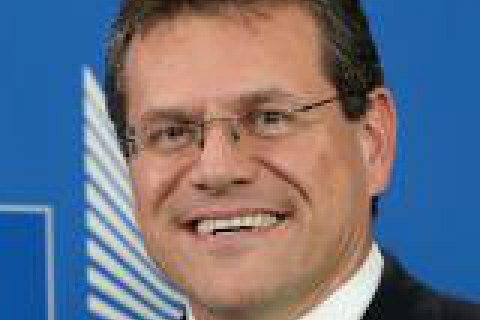 The vice-president of the European Commission in charge of the Energy Union project, Maros Sefcovic, has confirmed that the first round of trilateral talks with Ukraine and Russia will take place on 17 July. Both, representatives of the respective governments and commercial entities will be involved. "Constructive and stable co-operation between Russia and Ukraine in the field of energy is of utmost importance for both countries and the European Union. The need for a continued, long-term transit of Russian gas through Ukraine to the EU in a reliable, commercially viable way is an indispensable part of it," he said in a statement. He expects "complex and difficult" negotiations. "As proven in the past, a trilateral process is the most effective platform to seek a satisfactory solution to the gas matters important for involved parties and to gas transit via Ukraine beyond 2019," he added.